Since we started producing margarines in 1929, ADEKA has been popularly recognized as the food ingredient maker with the squirrel logo.With our supply chain partners, we continue to produce safe, secure and delicious food products that live up to “The Taste You Can Rely on,” slogan for the “RISU BRAND”. We inspect farms with a trading company. 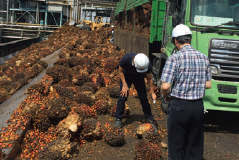 Palm oil is used as the main ingredient for most of our food products.To ensure the sustainable procurement of raw　material, we joined the RSPO (Roundtable of Sustainable Palm Oil) and obtained its Supply Chain Certification in April 2018.Palm oil plantations are often associated with haphazard deforestation and other environmental issues as well as human rights concerns.As a palm oil purchaser, we strive to support ethical palm oil production as part of our commitment to the creation of a sustainable society. 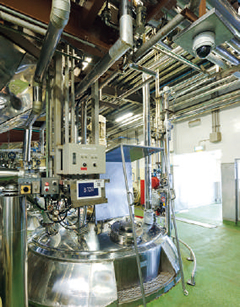 Monitor cameras are installed at ingredient input ports. For customer safety and security, we thoroughly operate our plants in accordance with international standards concerning quality, food safety and hygiene.With 88 percent of the Group’s food production sites certified under FSSC 22000, an international food safety system established by the Global Food Safety Initiative (GFSI), we are pursuing complete food safety, hygiene control and management. 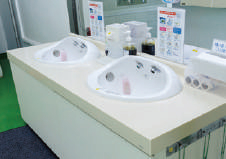 Hygiene is ensured by providing particular routes to toilets. Prior to shipping, our products undergo final inspection by the Quality Assurance Section at each plant to confirm quality.Moreover, an additional check to ensure the accuracy of those inspection results is also performed regularly. 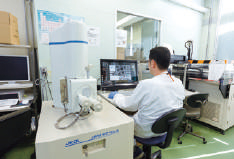 Equipped with sophisticated analyzers, the Kashima Plant, the main plant in Japan, serves as a food analysis hub for the Group’s food production sites.This plant carries out highly technical analyses, checks and guidance on the analytical skills of other food production sites. 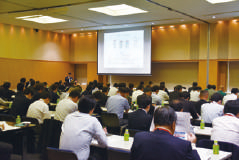 We hold quarterly safety conferences to bring together ADEKA LOGISTICS CORP. and all logistics partners in order to discuss the physicality of our products as well as optimal temperatures and transportation toward preventing the recurrence of problems, addressing the remaining issues and ensuring the stable delivery of products. 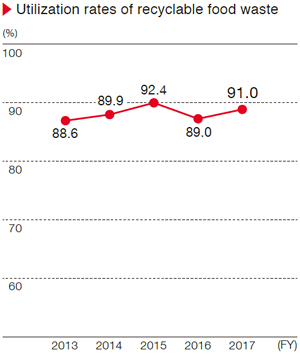 By following the same PDCA cycle across the entire logistics network beyond the Group, we are striving for the safe and secure delivery of products to our customers and their customers. 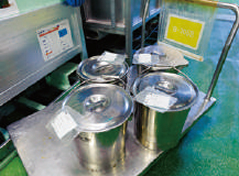 We collect slow-moving inventory food products and transport them using postshipping cargo containers to the Akashi Plant. 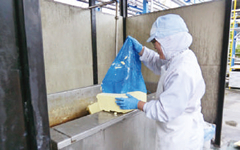 Processed oil and fat are separated into oil and water to recycle the separated oil into soap or fuel tablets and, when not separated, into fertilizers and other products. The Kashima Plant also sells oil collected through oil/water separation to a trading company for recycling. We place high priority on traceability. 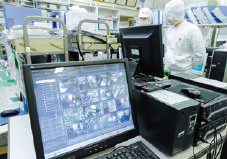 At every stage from procurement to sales, our Foods division centrally controls its data, including supplier information and production methods.In the event of a quality problem, the plant’s quality assurance section tracks back production and logistics operations to detect the cause, identify the possible range of influence and promptly issue the necessary reports to customers.The information is shared by all production sites, and the Group’s Food and Sanitation Committee monitors remedial actions taken.